Some Monday Mornings start full of purpose, the weekend has revived your spirits and you have a clear focus of what your aims are for the week. Other Monday mornings you just don’t know what your doing, you have aims but they just are not in focus sitting in a misty haze and you just cannot reach out to grab them. This Monday morning, well ? 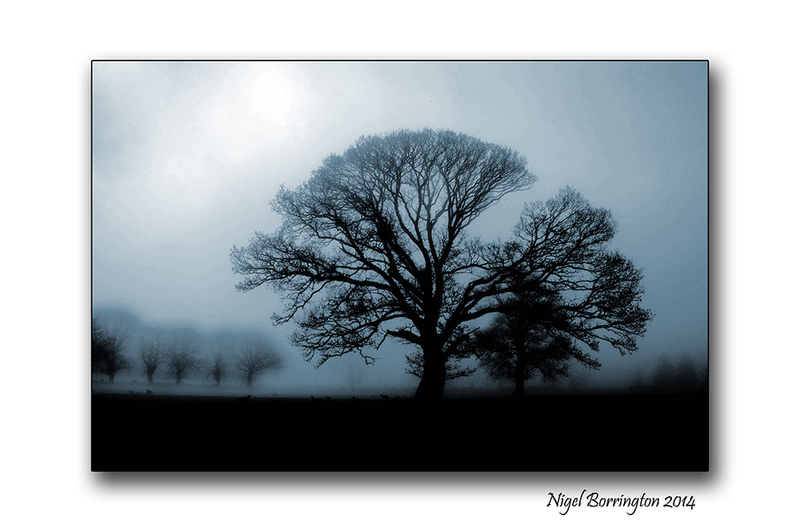 It was a wonderful Morning for a walk to clear my mind and try to find some direction, the mist was down on the local fields again and a blue and very peaceful haze just floated about the trees. After Lunch time I hope the mist will lift ….. ? 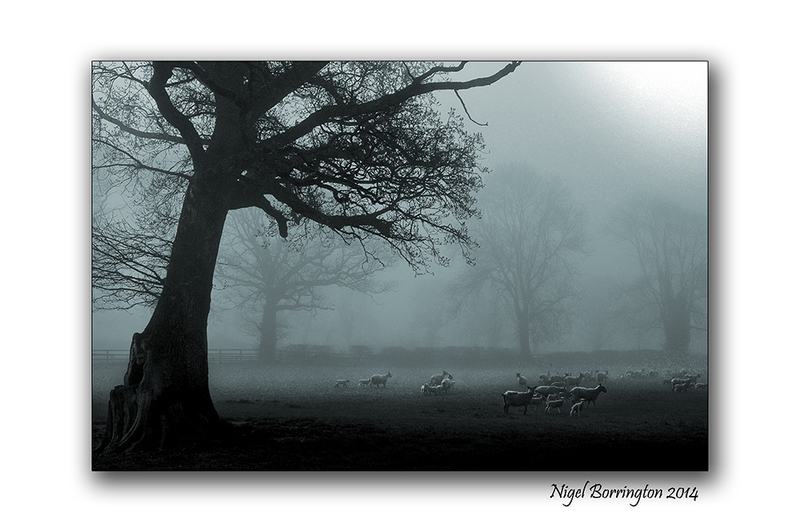 This entry was posted on February 10, 2014 by nigel borrington. 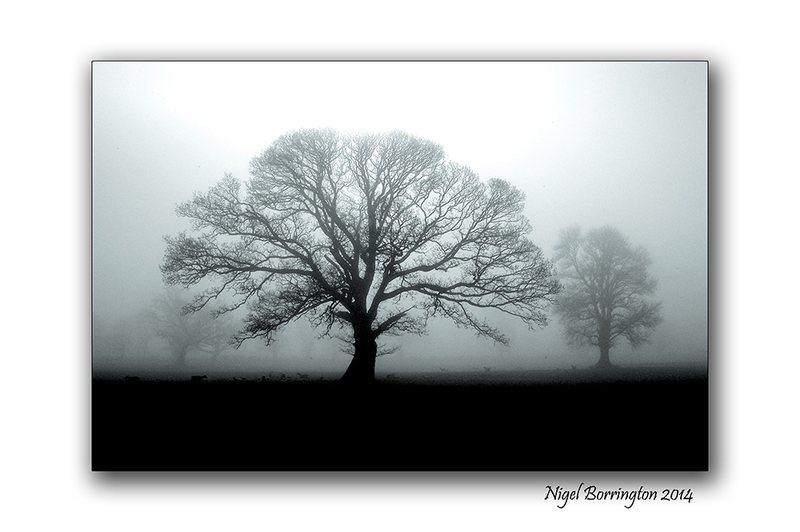 It was filed under Comment, Gallery, Kilkenny Landscape images, kilkenny photography, Landscape and was tagged with focus, fog, Irish landscape photography, Mist on a Monday Morning Irish Landscape Photography, Misty fields, Monday mornings, Nigel Borrington, Nikon D7000, starting the week. 😀 Thank you, and to you! Nigel, these are spectacular. 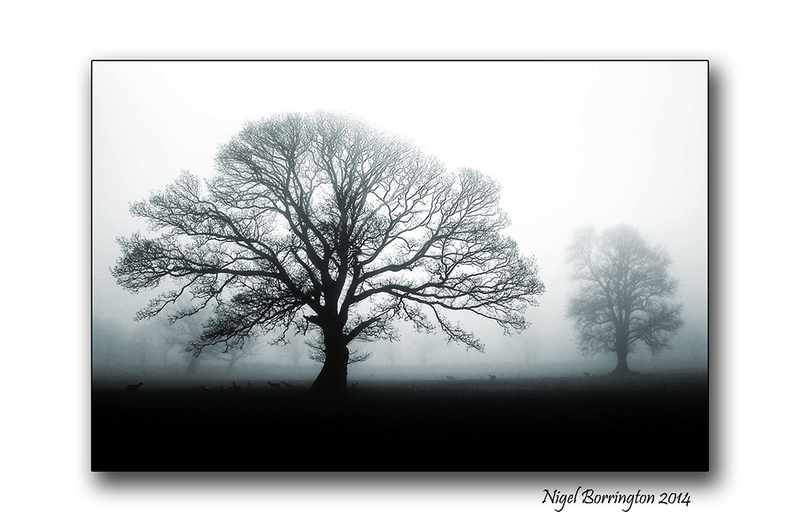 🙂 🙂 🙂 The skeleton of trees is terrific by itself, but with the misty blue fog and the lulling sheep………it’s otherwordly. You walked into a surreal landscape and captured its essence. What a treat! Lovely shots, but that second one is the best. Love the light on the backs of the sheep. They’re all really lovely images, but I especially like the one with the sheep wandering about. Gorgeous! These photos are so fabulous, and eerie. One misty, moisty morning… I may have a thing for nursery rhymes. 😉 Spooktacular shots. I love the layers in the fog in this photo.